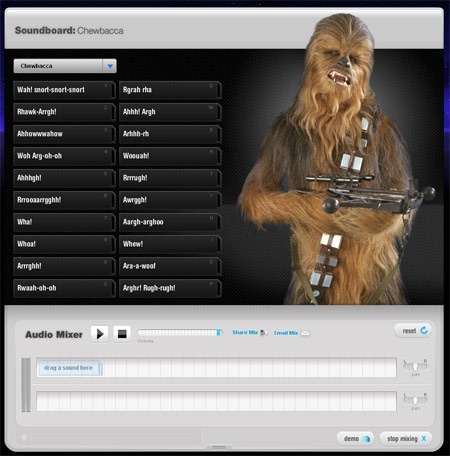 The official Star Wars website has released a web-based soundboard where you can combine a series of sounds and quotes from Star Wars on two channels. While simple for now, Star Wars promises many more features to come. Even without the features, I was able to put together a deep meaningful dialog between Princess Leia and Chewbacca that made my inner 12-year-old giggle (with the help of a timely “Nooo!” from Luke).